My goodness…thank you so much…you guys were awesome last night! I really enjoyed getting to play some new tunes for you. I’ll be back on Thursday May 8th, after that it’ll return to normal with me back in the chair on the first Thursday of the month! 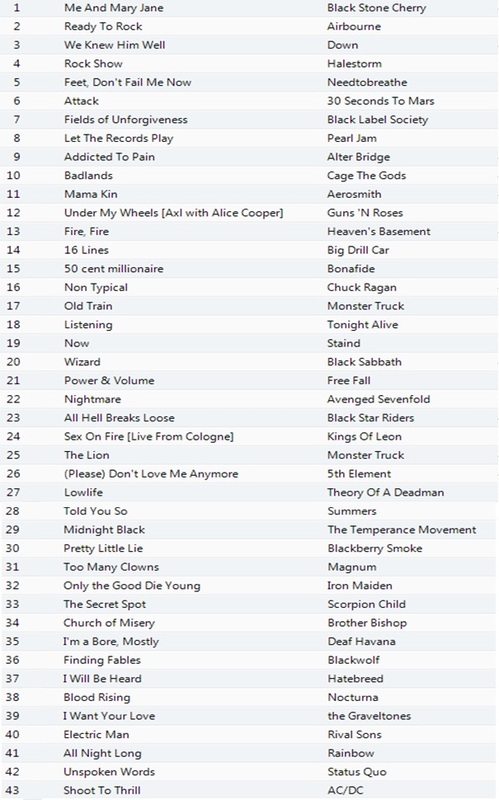 In the meantime, here’s what we played last night just in case you didn’t catch the names of the bands/songs. See you on the 8th May. ← ‘Bex Rocks’…the house tonight. Tune in from 7pm and hear some blistering rawk! !